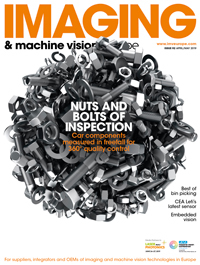 It is not just safety but position sensing, speed and temperature monitoring, among other applications, that has driven the requirement for cameras and image sensors in the automotive sector. That was the view of speakers at the Image Sensors 2014 conference in London on 20 March. By 2015, all cars sold in the USA will be required to have a rear-view camera. This has been sparked by the fact that more than two children every week are fatally injured on the road in the USA. The cause of this in part has been due to the design of many modern vehicles giving very low rear-view visibility to the driver. ‘With some of the SUV vehicles you can put many children behind the car without seeing them,’ said Denny. Martin Edney, lead system engineer for Jaguar Land Rover agreed that, as the number of cameras in cars increase in the near future, their integration will become more difficult. ‘Adding more sensors to the vehicles is a major challenge,’ he said. This requirement from OEMs has led to a decrease in the size of packaging, which has led to problems caused by excess heat. ‘As we are always moving smaller and smaller to hide these cameras from the customer, this is then increasing the heat inside the camera,’ said Edney. The perspective of the OEMs was that they wanted image sensor manufacturers to come up with a solution that would not affect the size.